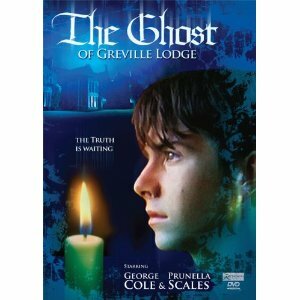 While browsing around Amazon for movies with a good ghost story, The Ghost of Greville Lodge (2000) starring Jon Newman, Prunella Scales and Marc Danbury caught my eye. I hadn't heard of this British movie but it looked like it might be a good ghost story with lots of atmosphere so I gave it a try. A teenaged orphan, James, is invited to stay with his long lost great uncle at the family estate, Greville Lodge. Once a bustling English country manor, now mostly closed up and run with the help of Sarah the housekeeper. James explores the large house and manor and starts having dreams of the past where he is the owner's son. These dreams soon become waking dreams where a ghost from the past is trying to get James to right some unfinished business. There was some good atmosphere: wandering around the manor, estate and village (including a graveyard down the road), although I would have liked to see more. The story kept my interest trying to tie the past to the present but overall it won't be one which I will return to. If you are looking for a kid friendly ghost story, this may be a DVD for you.